Finding life insurance after a heart attack or heart disease can be both frustrating and time-consuming, and the rates you get quoted can often be insane. I will also discuss how to qualify for the best life insurance after heart surgery or a heart attack and how to get an accurate quote and get covered with the best possible offer. Any condition that affects the structure or function of your heart is considered to be heart disease or cardiovascular disease. According to WebMD, 1 out of every 3 deaths in the U.S. can be attributed to cardiovascular or heart disease. With this simple understanding, it should be easy to see why life insurance companies consider people who have heart disease to be of higher risk. 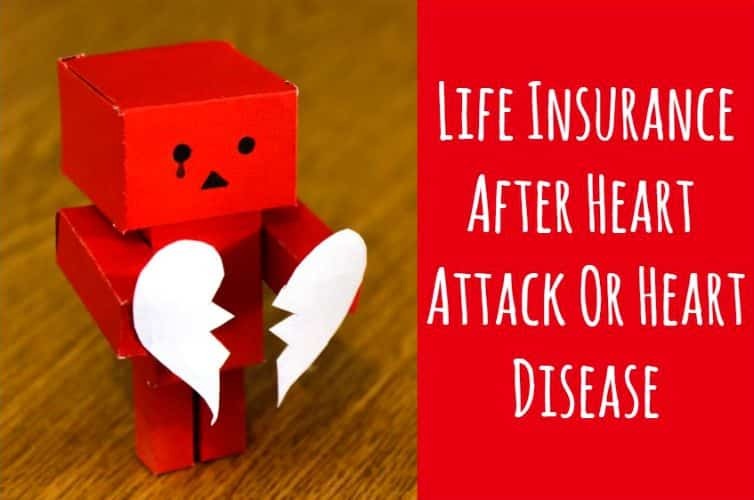 This doesn’t prevent you from getting covered, it just means you probably want to deal with someone more experienced with heart disease life insurance cases like we are at American Term. Keep in mind that this isn’t every heart condition but most of the major ones that can contribute to heart disease. 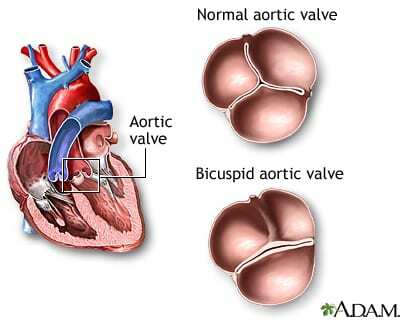 I am all too familiar with getting life insurance for people with heart conditions as I was born with a bicuspid aortic valve. At the age of 40, I had a valve replacement and an aortic aneurysm repaired, heck I even died for 163 minutes believe it or not. Getting life insurance for myself was never an easy task. But I decided to search really hard and reach out to over 121 insurance companies to find the ones that best fit my situation. ​Once I found the companies that would work with me I went through the process of convincing the underwriters that my case was different. This process allowed me to get the best rate and value and I’ll do the exact same thing for you. I am continually getting questions like, can a 59 year old male get life insurance with a stent? Or is it difficult to get life insurance with a stent? The honest answer to both questions would be yes; however, getting life insurance after a stent surgery doesn’t have to be a complicated process. If you’ve had a one vessel stent with no prior heart attack at around age 50 or older, you could still qualify for term life insurance after stent at Standard or Regular rates with some insurance companies. Standard rates aren’t always easy to obtain, but we have been able to do it for some of our clients. Once you’ve had a heart attack and/or more than one stent or bypass, or any coronary artery disease (CAD) event before age 50, most life insurance companies will start “rating” you or charging 50%, 100% or more. In addition to the “Standard” or Regular life insurance rates, some companies will even decline you if you are trying to get life insurance with stent in heart, whereas others will not. It can take some work and research on our part, but we can find an insurance company that will offer you insurance regardless of your CAD history. Don’t assume that the rate you have been given is the best rate available, this isn’t always the case. We have had the same person declined with one insurance company and then offered a Standard rate with another company. There have also been situations where clients get rated upwards of 150% - 200% on top of Standard rates with one insurance company and offered Standard to 50% rating with another company. Overall, if you are looking for life insurance with a heart stent or for life insurance after bypass surgery, then be prepared for a process and don’t give up. Getting life insurance after a heart attack is possible, but not all heart attacks are underwritten the same, and the rates for which you’ll qualify can vary greatly. One of the most important things in determining if you’re insurable for “regular insurance” after a heart attack is how much heart damage you sustained from the heart attack. A key indicator in determining your degree of heart damage is your left ventricular ejection fraction (LVEF) which shows how well your heart is pumping blood out to your body. If your LVEF is 40% or less, then you’ll likely only qualify for a guaranteed issue or guaranteed acceptance life insurance. If your LVEF is 45% or higher (the higher, the better), then you may be insurable. But having an LVEF of 45% or higher is only one “piece of the puzzle” in determining if you’re insurable and best rates and insurance companies for you. Your age when you had the heart attack and the severity of your coronary artery disease or atherosclerosis are also significant factors in the rates for which you’ll qualify or if you’ll qualify at all. The younger you were when you had the heart attack, the tougher it is to get life insurance. Having a heart attack in your 30’s makes it much tougher to get a decent life insurance rate/policy compared to if you were in your 40’s, 50’s or 60’s when you had the heart attack. The extent of your disease based on the cardiac catheterization results showing the percentage of blockage in each of your coronary arteries and the specific arteries that had blockages will have a big determining factor in the rate for which you’ll qualify. Blockage in the left main and left anterior descending arteries, known as the “widow maker” arteries, can result in a higher rate being offered than if you only had a blockage in your circumflex or right coronary artery. If you’ve had a 70% or higher blockage in any of your coronary arteries, this could result in a higher rate being offered than if you only had a 50% or 60% blockage. The reason is that coronary artery disease is a progressive type of disease, so you’re never really cured even if you’ve had bypass surgery or angioplasty and stents. 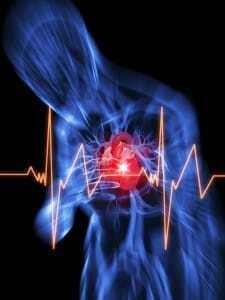 Over 300,000 people each year have a recurrent heart attack (i.e., second, third, etc.) and heart disease is the leading cause of death in the world! I happened to have had a cardiac catheterization before having heart surgery. I asked the doctor that performed the catheterization how long it can take perfectly clean arteries to develop blockages that are serious enough to require intervention. He told me how it could vary significantly from person to person, but he said 10 years was a reasonable estimate. Make sure you quit smoking and quit using all tobacco for that matter, and if you’re overweight, lose weight. All life insurance underwriters want to see that you’ve had a good stress test in previous 12 to 18 months. So even if your doctor never recommended having one, ask them to schedule one for you. This alone has helped us to get a 2 rate classification improvement on some cases. If your doctor has not prescribed you a blood thinning medication, then taking aspirin or a baby aspirin every day is a right decision. Make sure to tell any insurance agent and insurance examiner (at time of insurance exam) that you do take aspirin daily. Provide as much information as you can regarding your positive lifestyle changes to any agent you’re applying through and ask them to relay this information to the insurance company. We do this on every case, and it’s paid off time and time again. Your ejection fraction is less than 45% or if you sustained severe heart damage, you’ll likely be declined. You continue to smoke cigarettes after a heart attack, or use other nicotine-based products like e-cigarettes, chewing tobacco or even nicotine gum or patch, then you’ll likely be declined. Having highly abnormal cholesterol levels after a heart attack can get you declined. If you have ongoing Angina or chest pain or if you use nitroglycerine after a heart attack, then you’ll likely be declined. You’ve had a heart attack and other cardiac problems, like a more severe type of irregular heartbeats, then you could be declined. You had a heart attack and other health issues like prior stroke or diabetes that is not very well controlled, then you could be declined. Not getting regular cardiac checkups or if you have not seen a cardiologist in more than 2 years, then you could be declined/postponed until you have a more recent check up. If you’ve had a heart attack within the last 6 months, you’ll be postponed and not able to qualify for life insurance until 6 months have passed and all follow-up check ups have been good since the heart attack. This is not an easy question to answer since there are many variables involved in determining the best rate and insurance company. It's also going to depend on your exact heart attack history and your overall health and lifestyle. According to life insurance industry guidelines, the severity of your heart disease will be determined and classified by the amount of heart muscle that would be in jeopardy, if the coronary artery obstructs at the site of an atherosclerotic plaque lesion. So, without seeing your cardiac catheterization report, follow up EKG and echocardiogram, in addition to knowing nothing about your specific overall health, it is impossible for any life insurance agent or website to quote you an even semi-accurate rate. While we have gotten unbeatable offers on past heart attack cases, below are some monthly cost estimates of what you could expect to pay for life insurance at various ages after having a heart attack. We’re showing 2 rates in each category below as a range of the cost. These estimates below are for a 20 Year $250,000 guaranteed level premium insurance policy. We are assuming a left ventricular ejection fraction of 50% or higher and that their overall health checks out as fairly good. And if your overall health is good, then you should qualify for a decent life insurance policy with a great insurance company. Then you’ll likely be declined with all of the competitive insurance companies. There are still insurance companies that may insure you, but it could be for overpriced and inferior coverage. PRO TIP: Applying to more than one insurance company is the only way to verify you're getting a good offer...and we have the perfect system to do this! Get detailed cardiac and other health/avocation information from you. Review database of rates from over 121 quality insurance companies to see all of top insurance companies available to you. Make inquiries to underwriters at numerous insurance companies to better narrow down the best for you based on information you provide to us. None of your personal or identifying info is ever provided to anyone else during these inquiries. Based on feedback from the underwriters, we'd then show you most probable rates for all products available to you (term and permanent insurance). If you decide to proceed, we'd have you apply to 2 or more companies for best rate/product that fits your needs, whether it's Term Life, Universal Life or Whole Life. Expedite underwriting by getting weekly updates from case managers or case underwriters and by contacting doctor's offices to make sure medical reports are sent in a reasonable time frame. We do our best to expedite, but some things are out of our control. If something turns up in underwriting which results in you qualifying for higher rates than we were expecting, we'll negotiate on your behalf to improve the offer. Then we'll shop your medical records to other insurance companies to get better offers if necessary. We can use the results of any one insurance exam for any life insurance companies later, and we'll have access to your medical records so we can quickly and easily get offers from other insurance companies. This process will be hassle free for you. After we get approvals and verify the exact rates for which you qualify, you can make a final decision on the exact plan and amount of life insurance that you want. After we get you best offer, we'll send you policy with detailed letter of policy explanation and complete instructions on how to place the policy in force. If you are satisfied with the policy and the rate, you can accept the policy and make first payment. We will periodically review your policy to see if a better rate/product may be available in the future as rates/products are constantly changing. Since 1969, we have been able to get approx 70% of existing clients a better rate or policy after their initial purchase. No Exam insurance is available to people with many heart conditions, but you will usually pay a much more to avoid the exam. We shop with numerous insurance companies daily, including the best "no exam" companies, to find the best offers for our clients with all types of heart conditions. While we would have to "shop" your case since all heart conditions are underwritten differently, you could be looking at the below situation. If you can qualify for a rate of $76 per month that requires an exam, you may only qualify for a no-exam rate of $120 or more per month. However, "no exam" coverage is probably available to you if you don't mind paying more. The customer had already been approved for a $350,000 15 Year Term Policy (through another agent) for $1,392.00 per month. He found our website and based on the information he provided, we knew we could get him a better rate. While we knew about the heart attack and 2 stents placed for this 69 year old gentleman, we didn't know about his cardiac arrest. After the underwriting process was completed, we were able to get the customer approved for $933.00. ​However, we weren’t satisfied with the outcome, so we went back to this underwriter, emphasized to her how the cardiac arrest was likely a fluke and how this gentleman recently had an excellent stress test. We pleaded for her to bump this gentleman up to a better rate class, which she did! She re-approved him for a $350,000 15 Year Term policy for $817 per month. Total Savings = $575.00 Per Month or $6,900 per year. We just did a case with an exciting result for a 62-year-old male who had a “mild” heart attack at age 49. He was treated with medication only (no stents, no bypass) and all follow-up cardiac test results had been great including a good stress test within the last 12 months. He had applied through another agency and was offered a table 6 rating and each table rating reflects a 25% additional cost over the “standard” rates. The table 6 policy was going to cost him $4,972 per year even though he was the poster child for great health after a heart attack! He happened to have his cardiac medical records, and his first cardiac catheterization showed no evidence of blockage in any of his major coronary arteries. ​It also mentioned that the mild heart attack must have been caused by plaque rupture of the obtuse marginal branch of the circumflex artery. ​He had no heart damage caused by the mild heart attack, with a current ejection fraction of 55%. We were completely confident that we could get him a better offer than table 6 offer he was previously given. ​We submitted applications to two of the most likely best insurance companies for him since we never want to have all of our eggs in one basket. The first offer for this gentleman came back at a table 3 rating, which was a much better price than the original table 6 offer. ​We still thought we could get him a better rate, so waited for the second offer before doing any negotiating. ​The second offer came back at a Standard rate with no additional rating. ​He was able save $2,340.45 per year or $35,107 over 15 years, compared to what he would have paid for his offer from the other agency. Total Savings = $195.00 Per Month or $2,340.45 per year. We can offer you life insurance after heart attack from more life insurance companies than any agents, websites or brokers. Just use the quoting tool to the right to view instant quotes from some of the insurance companies we can offer you. You can also click on the "get accurate heart disease quote" link above if you want to get an accurate quote. Our experience and relationship's with the best insurance companies for cardiac issues allows us to get the best offer possible and will pay off big time for you!! Rates, products and underwriting guidelines are always changing, and we're constantly on the lookout for new products and guidelines that will help us to get you a better offer. So we can insure almost everyone! Call us at 1-800-380-3533, request an accurate quote using the link directly above or CLICK HERE to email us for more information and we will start the process of getting you the best life insurance rate possible. I felt really comfortable working with Gordon. He was patient and helpful in meeting my specific needs and worked with me all the way until I was happy with what I got. I highly recommend the service to anyone who needs help with insurance decisions and options! 5/5. Working with Gordon Conwell in obtaining life insurance was great. He was proficient in all inquiries and was very professional. I would recommend him. Gordon Conwell's expertise and attention to detail made securing my GUL policy a breeze--and at the best rate. Each step--initial contact, application correspondence, medical exam, and policy issuance--was handled promptly and professionally by Gordon and team. Thanks Gordon--much appreciated! Extremely efficient and very easy to communicate with. Always right on top of everything I asked or needed. They got me a way better insurance rate than I was expecting. Great to do business with and I would highly recommend. Gordon Conwell and his team have been excellent. They have done a great job recommending the right life insurance policy to take care of my family. I won't use anyone else and neither should anyone else! Amazingly prompt, responsive and informative! A very knowledgeable and helpful answer to a question sent in (by me) cold. I would recommend these folks without hesitation. Gordon, in particular, was especially helpful. I am a 12-year breast cancer survivor. I was able to get better life insurance coverage thru Gordon Conwell than other agents that I have tried. I am very satisfied with the prompt service that I received. Gordon is very professional & helpful. He was aware of our needs and we received all the services we requested. We would highly recommend him. I had the best experience working with Gordon. Always very prompt to get back to us with answers and great advice. Highly recommend! Gordon Conwell is the man !! He made everything super smooth for me. Gordon was amazing to work with! He made the whole process so easy and was very thorough in explaining everything. He was able to get us the best rates when other companies were not. He saved us so much money per month. I would highly recommend using Gordon for any of your insurance needs! I was very happy with the service I received from this agency. Gorden 3 work with me to get the policy I wanted for the amount I wanted to pay. Would highly recommend them to anyone. Great company! After being rejected from other companies it was a relief to receive an approval. The process has been seamless. Much smoother than other times I have applied for insurance. I am also confident the rates I received were very competitive. Gordon went above and beyond any other agency to obtain me life insurance, given my previous medical history. No other agency offered the depth that he did. In both insurability and price. I am thankful, highly recommend his professional services. I never thought I would be able to purchase life insurance due to my medical history. I had been told by other agents that no one would insure me. I only wished I had found out about Mr. Conwell when I was a few years younger. Good people. Worked with my wife and I on getting affordable long term care insurance. Highly recommend. It was a pleasure working with Gordon Conwell for guidance on my insurance policy questions and selection of the best fit for my needs. Gordon and his team were responsive and accommodating to my busy schedule. Thank you! Gordon worked hard to get me the very best rate for what was admittedly a tough case involving Motorsports and aviation. Gordon and his team were very professional and courteous. Even with a complex medical condition, they were diligent in finding me the best option available. I am very satisfied with the service I received. Thanks!! The Conwell’s are the absolute best you will find with regard to actually working for your interests! No one could or would work harder to find the right product for your needs and budget. Five stars all the way!!! My Husband & I were very pleased with the service we received. Professional and personiable at the same time. It's a hard balance to strike, but this firm has achieved it. I’ve had an extremely positive experience. When Mr Conwell said he’d check something out - I heard from him nearly immediately. He was very nice to deal with. We now have our insurance thanks to him and are very satisfied. My experience was brilliantly smooth and very professional, prompt and precise. I can say that Gordon was very diligent, response and truly had an interest in what suited my family's needs and my budget in terms of life insurance. I am very pleased and would recommend him to others ! Gordon and his team were able to find me an affordable policy that met my needs. They walked me through the process and answered my questions promptly. I would recommend their services.